ST. GEORGE – A draft management plan issued by the Bureau of Land Management-Utah for the Red Cliffs National Conservation Area has county officials frustrated and at odds with conservationists over a proposed northern transportation corridor through desert tortoise habitat. The regional transportation authority for Washington County, Dixie Metropolitan Planning Organization, has proposed a northern corridor that would run through the Red Cliffs National Conservation Area from Interstate 15 at Washington Parkway to Red Hills Parkway east of its new intersection with state Route 18 (above Bluff Street). County officials say they have been planning for the northern corridor for decades, but the BLM’s recently released draft management plan states a much higher impact on the Red Cliffs conservation area than MPO planners believe is accurate. Lee said the 150-acre impact would only occur if the road right-of-way were 300 feet wide. The RMP makes a strong case for not having a northern corridor – based on false assumptions and misinterpretations of facts, Lee said. 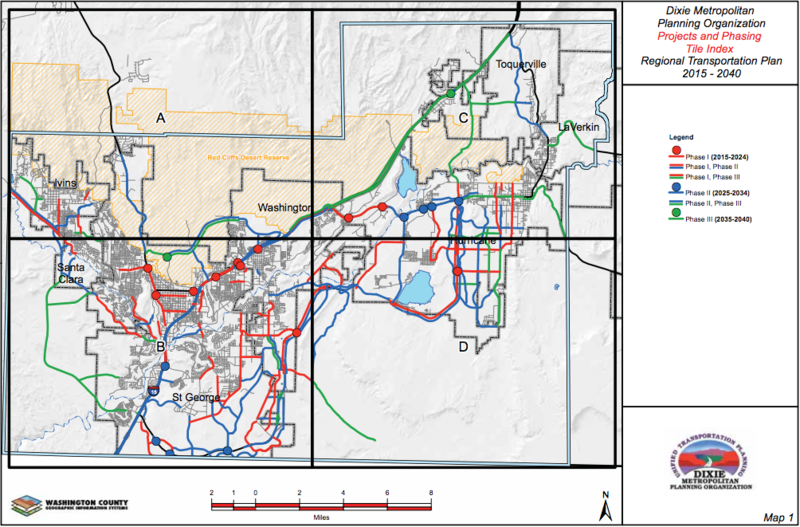 The RMP shows six proposed routes, only one of which would be viable. The northern transportation route could be built so that tortoises could cross it safely in several places, Lee said, and there are other ways the project could help the tortoises and minimize the impact; for example, funding from the project could provide property for a satellite preserve that could be used to quarantine sick tortoises; and another project could improve water resources in the reserve. Another Dixie MPO proposal would reroute and then reclaim the southern part of Cottonwood Road. The road runs north from St. George, bisecting the reserve, and reclaiming it would be a benefit to tortoise habitat. The northern part of the road could be rerouted to connect in with State Route 18 near Winchester Hills, Lee said. Those are just three of 20 possibilities the Dixie MPO has proposed with funding from the road project, Lee said, money that would not otherwise be available to wildlife managers. Local conservation advocacy group Citizens for Dixie’s Future opposes any new transportation route through the Red Cliffs Reserve. “There are a lot of reasons it’s a bad idea, but the primary one is, this is supposed to be protected land,” Susan Crook said. 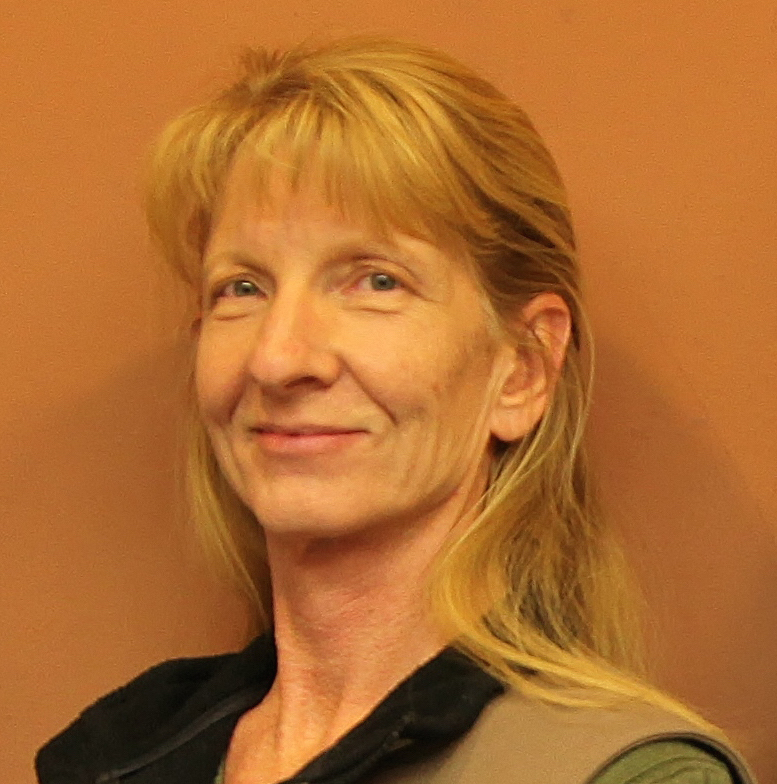 Crook is the Public Lands Conservation Program Manager for Citizens for Dixie’s Future. The proposed northern corridor would be detrimental to all the values the reserve was created to protect, Crook said, which include conserving views, scenery, habitat, recreation, scientific and cultural resources. The group believes building the northern corridor would cause harm to the desert tortoise habitat, and that mitigation is not possible. If the project goes forward, Crook said, the construction would cause major destruction of habitat, tortoise deaths, noise and dust. The Habitat Conservation Plan, which was finalized in 1996, did not include any plans for a northern corridor, Crook said. 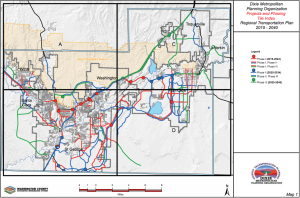 Crook believes traffic engineers and transportation planners could be more creative in trying to solve transportation challenges in Southern Utah. County officials are frustrated, including Washington County Commissioner Victor Iverson, who sees the northern corridor as a critical piece of the county transportation plan. “We feel like the BLM really kind of side-stepped their responsibility in putting forward a resource management plan that doesn’t address transportation in it,” Iverson said. The northern corridor had been planned since the early 1990’s, Iverson said. To understand the northern corridor, you have to understand the lands bill process. One of the things the county really fought for and thought they had worked out is the guarantee of a northern corridor through the reserve, Iverson said. Officials realize the route goes through a sensitive area, he said, but feel they can mitigate that and actually make the habitat better. The Omnibus Public Land Management Act of 2009 was a massive undertaking meant to resolve conflicts between wilderness and lands use, in particular, Iverson said, those points of conflict regarding wilderness and federal land use within Washington county. The Act created the county’s two national conservation areas, Red Cliffs National Conservation Area, which encompasses the Red Cliffs Desert Reserve, and the Beaver Dam Wash National Conservation Area. The 78,000 acre Beaver Dam Wash National Conservation Area was a compromise, County Commissioner Alan Gardner said, because environmental groups wanted the area to be wilderness while the BLM wanted to manage it for the desert tortoise. To the BLM, the northern corridor is very controversial, Iverson said, but county officials feel they were promised the corridor. “We feel like Congress gave instructions to give us a northern corridor route,” Iverson said. Sen. Orrin Hatch proposed a bill in the U.S. Senate July 15 that is intended to clarify the matter. S. 1783 would amend the Omnibus Public Land Management Act of 2009 in Washington County. To amend the Omnibus Public Land Management Act of 2009 to clarify a provision relating to the designation of a northern transportation route in Washington County, Utah. According to Govtrack.us, the bill was referred to the Senate Committee on Energy and Natural Resources for consideration before it will come to the Senate floor for consideration. I proposed the Comprehensive Washington County Travel Management Plan because the BLM has not yet complied with a 2009 mandate requiring development of a northern transportation route. My provision could not be included in the Senate’s highway bill, where I originally proposed it, so I will continue to work with the Senate Energy and Natural Resources Committee to help address the needs of Washington County on this matter. County officials are disappointed the 2009 Land Management Act did not resolve the transportation corridor and other issues. Iverson said he feels Congress’s intent was for the county to have a northern corridor. “It has been very much a part of the overall travel master plan for years,” Iverson said, adding that Hatch’s legislation is to give clarity to what Congress has already passed. Iverson said he believes that if the northern route is not built, there will be traffic problems within 10-15 years. “We’re (already) starting to see the stress on our transportation system in certain areas,” he said. There will be a great amount of stress on St. George Boulevard without the northern corridor, Iverson said, as people try to make it across town from east and west. As far as preservation of the tortoise is concerned, Iverson said there is disagreement between different scientists and biologists. The county has already done a study which concluded that the northern corridor could be put in with no impact and in fact actually enhance habitat for the tortoise. When people have to wait through four or five lights to get down St. George Boulevard, they won’t understand why, he said. The BLM’s draft resource management plans greatly exaggerate the impact of a northern corridor, Iverson said, putting the estimate at 6,350 acres impacted, while county officials estimate the impact to be under 200 acres; and, there are already existing utility corridors in the reserve. Plan alternatives – corridor or no corridor? Of the alternatives, which are too extensive to summarize in this report, the BLM’s preferred option is Alternative B, which the draft states “balances resource protection with compatible public uses.” Alternative B does not include any provision for a northern corridor. Alternative B would designate four new areas of critical environmental concern, or ACECs, and retain eight existing ACECs. It would specify special management for the 87,000-acre Bull Valley Mountains Multi-Species Management Area, to protect crucial habitat and migration corridors for mule deer, other wildlife species and diverse predators in northwestern Washington County. Alternative D, the only alternative to mention a northern corridor, would designate a 6,350-acre utility and transportation corridor. The corridor would allow for location of new utilities through the national conservation area and for the development of Washington County’s proposed northern transportation route highway. The stated need for the northern transportation route is to reduce projected traffic pressure on existing roads in the greater St. George metropolitan area. According to the Washington Parkway Cost Benefit Study, the highway would reduce traffic delays, reduce accidents, improve air quality and stimulate economic growth. However, the management plan states that the cost/benefit ratios in the study were based on population projections released in 2008 by the Utah Governor’s Office of Planning and Budget, and those estimates were revised downward considerably when that office released new projections in 2012. An in-depth description of all four alternatives is beyond the scope of this report, however the draft resource management plans are available here. The Bureau of Land Management Utah St. George Field Office is accepting public comments on a draft environmental impact statement, analyzing two draft resource management plans and a draft amendment to the current St. George Field Office Resource Management Plan. The draft resource management plans can be reviewed here. The draft impact statements have four proposed alternatives, with different levels of changes to management of the areas, which include different levels of protection. Public open houses are being held this week in St George, Hurricane and Salt Lake City in which the public may see the BLM’s plans, ask questions and make comments. Comments may also be submitted by mail or email through Oct. 15. This is a well-written article, kudos to the author. It was written impartially but it is clear that the local government entities have a weak case for the Northern Corridor, very much like the fiasco of the would-be Lake Powell Pipeline. I have been attending the Transportation Expos for many years and it has become abundantly clear that a Northern Corridor is not warranted. Who thinks up all these grandiose schemes like a pipeline, and this northern corridor. Probably developers who see a lot of profit from these kinds of things. We don’t need either of them. There is not that much traffic on the Red Hills Parkway, so why build another road further out. Developers salivating at prospects for getting a road up there; many “view lots” to sell. Typical BLM garbage. Let the state control the lands and get the feds out. problem solved. yea NM, just like the new tar sands mine. Let the state do it, durrrrrrrrrrrrrrr. Let the state handle the pligs–that worked well too, huh? u need to grow up! Very thorough article. Thank you, Julie. THIS TURTLE DON’T EVEN EXIST! IT’S A FICTIONAL THING THAT WAS MADE UP SO THAT THE LIBERAL ELITISTS CAN ADVANCE THE AGENDA 21 BY FORCE. JUST ASK NM AND BRIAN. THEY BOTH AGREE WITH ME! Glad two people do! Read and learn. Don’t just regurgitate what you’re being told. Interested citizens should go to Chapter 2-Alternatives of the BLM’s Draft Resource Management Plans and look at Map 2-46, Rights of Way Exclusion Areas & Designated Utility and Transportation Corridor – Red Cliffs NCA – Alternative D. The map clearly shows 4 (four!) road options. BLM has not “side stepped” their responsibility as Commissioner Iverson, Myron Lee and others attest. They have just not handed the preferred route to DixieMPO, commissioners and others carte blanche. Should have fought harder for it in the 90s, fellas. But, I guess it was easier to get the Habitat Conservation Plan (HCP) in place so everyone could develop their properties outside the Reserve/NCA to their heart’s content and now come back whining. What a sorry state of affairs. Call me crazy, but that long report was interesting. I think you are right. I moved here because I liked all the open space. I want to see it preserved. It’s a perfect place to put up like 6 or 7 Maveriks and 4 or 5 McDonalds and 12 more Mexican restaurants and 10 more Chinese restaurants 5 more auto dealerships and a golf course. …..and 4 Mormon “church” buildings, 3 temples, 2 Institutes of Religion and a partridge in a pear tree. Don’t forget the tract of “view” homes inside this “connector”. They should be pricey, but nice. Just in time for the pipeline to water them. Hey where’s the village idiot and his stupid comments. ?